As they continue to face challenges in this uneven and inconsistent economic recovery, many CFOs and CEOs are placing a renewed emphasis on optimizing cash flow as a way to help improve their company’s financial situation. Improving cash flow starts with an understanding of the cash flow cycle. Following is an explanation of the typical cash flow cycle and some tips for improving your company’s cash flow. All of this is used by the business to manufacture product(s). After products are sold, the business issues an invoice to customers, creating accounts receivable. Accounts receivable are collected from customers, which brings cash back into the business again. Depending on the business, the length of time between step number one and step number five of the cash flow cycle can be quite lengthy. This cash flow “lag” is one of the most common reasons for business failure: Even companies with strong sales and profits can simply run out of money in the middle of the cash flow cycle. Companies often seek bank financing in the form of a working capital loan or line of credit to help them bridge these cash flow gaps. But in today’s credit environment, it can sometimes be difficult to obtain such a loan. Factoring and asset-based lending—in which businesses pledge accounts receivable or hard assets like equipment and real estate as collateral—are one financing alternative for businesses that cannot obtain a traditional bank loan. 1. Accelerate collection of your receivables. It’s logical that the quicker you can get cash back into your coffers, the faster it’s available to pay for overhead and invest back into more raw materials and equipment so you can make and sell more products. Depending on your industry, you probably have to offer payment terms of some type to your customers (e.g., net 30 days). However, negotiate with customers to try to shorten these terms, if possible. One strategy is to offer a discount for paying early. For example, with a “2-10, net 30” discount, the customer would receive a 2% discount on the invoice if it’s paid in 10 days instead of 30. Also get serious about collecting past-due receivables, since the chances of collecting are reduced drastically over time. You should be contacting customers immediately to check on the status of late payments and stress the need for paying promptly in the future. 2. Stretch out disbursement of your payables. This is a fine line, because you should always pay invoices according to the terms you’ve negotiated with your suppliers. But you’ll receive no benefit from paying early (unless you’re taking advantage of an early-pay discount). Work closely with your accounting department to set up a payables management system in which all invoices are paid as close to the due dates as possible. By focusing on these two components of cash flow management, you could shorten your cash flow cycle by as many as 10 to 15 days or more, which could have a big impact on your overall cash flow. Improving cash flow management is one of the best ways for Los Angeles and Southern California CEOs and CFOs to help their companies weather the challenging economy. 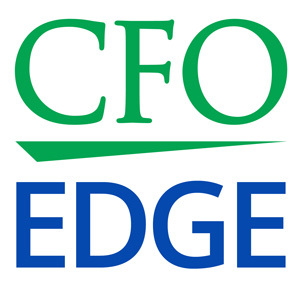 An outsourced CFO services provider may be able to devise cash flow strategies for your business. Such a provider can share expertise gleaned from helping other businesses similar to yours meet cash flow challenges.